Definitely, one of the world’s fastest growing websites is Facebook. Facebook gains popularity very rapidly. It takes part of the daily life of millions people in the world. 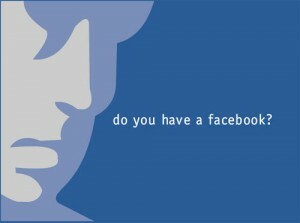 That is why Facebook can be used with a lot of purposes. It can be called the world’s social largest international group. If we thought that Internet can give us fast access to everywhere. Now with Facebook is even faster. There you can find everything and everyone. You can join groups, you can show your preferences, post links, post different adds and socialize with hundreds of different people all over the world. In other words there are a lot of people who are using Facebook every moment. It becomes part of our life as to have a car and home and Facebook. That is why it is getting very popular for business people to use it for online marketing and advertising. In Facebook it is easy for people to use traditional marketing techniques because of its structure and tools. To be unique is perhaps the most important marketing technique. You have to consider very carefully every aspect of your Facebook page so it is attractive for the visitors and it stands out from the rest. These days it is absolutely not acceptable to have a general landing page in Facebook. With help of the tools provided by Facebook you can show to potential users a page specifically tailored for them. You should keep in mind that the picture of your profile is also very important because Facebook is perhaps the biggest photosharing site on the Internet. Stick to using big pictures with clear images. Tagging friends and customers in the photos is a great trick for bringing additional attention from friends and from their friends. Also allowing your friends to tag themselves in your pages can add a nice social “hook” to your page. You can use multiple Facebook applications to pull in your other already existing accounts from other social networking sites. With the help of some nifty applications, you can pull in Twitter, Flickr, and many others fairly quickly. It is also good to get in touch with your fans on a regular basis even if it is just to tell “Thanks!” to someone who had just liked your page. This way you shoe them that you are paying attention to your customers and their opinion is important for you. There are quite a lot of people who will create their pages and leave them. After all Facebook is a social network and it requires constant attention. That is why it can also provide excellent feedback and discussions. Social media optimization is a very new and emerging term , that helps a lot and branding and traffic generation.